All of our cakes are made from scratch, using the finest ingredients. 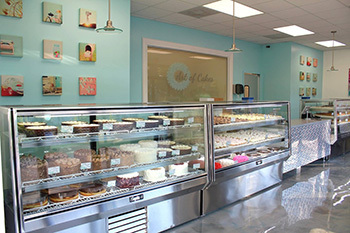 In our storefront, we offer a wide variety of cookies, cupcakes, cakes & brownies. Showcased on Cake Boss, The Knot, The Wedding Channel. Art of Cakes is also a WeddingWire Top Rated Business located in Maryville, TN.